This is the third in our occasional series of interviews with scholars of Lincoln and the Civil War. Dr. Craig Symonds holds a Ph.D. from the University of Florida and is a former naval officer. After teaching at the Naval War College he moved to the U.S. Naval Academy, where he stayed for three decades as one of that institution’s most popular professors and received a number of teaching awards. 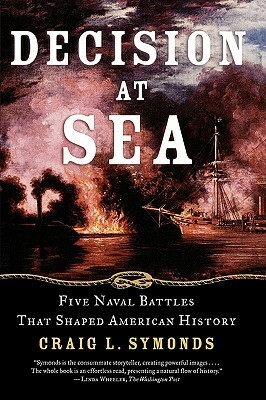 His books include Lincoln and His Admirals (for which he was a co-recipient of the Lincoln Prize), The Civil War at Sea, Decision at Sea: Five Naval Battles that Shaped American History, Joseph E. Johnston: A Civil War Biography, Stonewall of the West: Patrick Cleburne and the Civil War, and The Battle of Midway. How did you get interested in the study of Lincoln and the Civil War? My interest in Lincoln may well date from my earliest memories, and in particular attending Abraham Lincoln Elementary School in Anaheim, California. There was an enormous (to me) bronze statue of Lincoln in an alcove in the front of the school in those days (it is gone now, alas), and I can remember looking up at it and thinking how impressive he was. 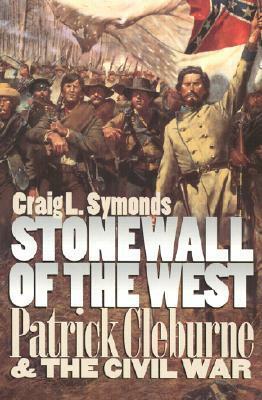 Then, some years later, I was a teenager during the Centennial of the Civil War and I eagerly read Bruce Catton’s trilogy on the war as they came out. It’s commonly said that Lincoln grew into the job of commander-in-chief, even though he had no experience with military command before his election. Did his grasp of naval strategy improve over time, and did he make any significant mistakes? Lincoln’s great gift as a politician and statesman was his ability to learn and adapt to a wide variety of circumstances, and to work effectively with a disparate selection of individuals, at least some of whom were inclined to be disagreeable. 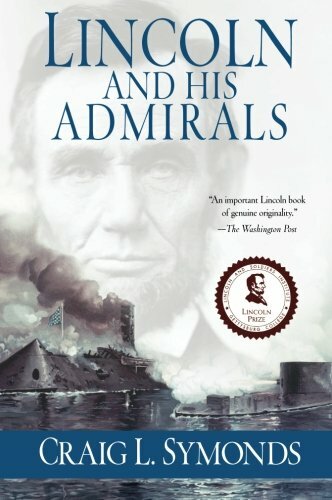 Lincoln certainly learned a great deal on the job about naval matters, but the key to his success was his ability to judge and to manage the people as much as it was grasping the arcane details of naval technology or naval strategy. And of course he made mistakes in the process, but he learned from each of them, and almost never made the same mistake twice. Finally, he was unusual, if not nearly unique, in his willingness to acknowledge his errors. During the Vicksburg campaign, he became convinced that once Grant had passed the Rebel citadel, he should continue downriver to join Banks in assailing Port Hudson. After Vicksburg fell, he went out of his way to write to Grant, “I now wish to make the personal acknowledgement that you were right and I was wrong.” What president since then has ever admitted such a thing? What was the nature of Lincoln’s relationship with Gideon Welles? How closely did he involve himself in naval operations? I think Lincoln genuinely enjoyed Gideon Welles, whom he called “Father Neptune” or “Uncle Gideon.” Welles was an eccentric character with his mismatched wig and voluble personality, but he was always completely candid with Lincoln—something the president counted on. Lincoln also appreciated the fact that, along with the Assistant Secretary Gustavus Fox, Welles ran the Navy Department with little active oversight. Lincoln preferred to let the experts run their departments and he intervened only at need. In cases like the Trent Affair, the Peterhoff case, or feuds with the Army, Lincoln necessarily had to get involved, but only because there was no one else in the government who could. He was not an activist manager by instinct. Lincoln’s frustration with Samuel Francis Du Pont regarding the attack on Charleston in 1863 brings to mind his troubled relationship with George McClellan. Was Lincoln’s disappointment with Du Pont justified, and were his expectations realistic when it came to his naval commanders? Lincoln’s frustration with Du Pont derived from two factors: One was the fact that the president had recently washed his hands of McClellan, and his tendency to conflate Du Pont’s apparent timidity concerning the Charleston defenses with McClellan’s behavior, while perhaps a bit unfair, was certainly understandable. The second factor was that Du Pont was annoyingly shut-mouthed about his plans. All Lincoln really wanted was honest candor from his commanders, both on land and at sea. Bu Du Pont decided that he should not burden the president with details about naval matters and rather than explain the circumstances forthrightly, he hemmed and hawed and didn’t act. Then, when he did, and was repulsed, he demanded that his reports be published in order to justify his decisions. More than anything else, it was Du Pont’s evident concern for his own reputation, rather than his failure, that turned Lincoln against him. Do you think its accurate to call the Civil War a “modern war,” and how open was Lincoln the technological developments in nineteenth-century naval warfare? The Civil War was most certainly the world’s first modern war. The mass conscription of civilians in the armies, and the transformation of industry to mass-produce military equipment, as much as the new technology, proves this. But the technology was also revolutionary. It was the first railroad war, the first telegraph war, the first war that involved armored ships firing rifled guns. For his part, Lincoln easily and almost seamlessly embraced these new technologies, and in some cases, actively advanced them. I have often said that Lincoln was a “gadget guy” and enjoyed going down to the Navy Yard to watch, or even participate in, the testing of some new weapon. One of the first Union strategies for defeating the Confederacy involved a naval blockade. How effective was this effort, and what role did it play in the North’s ultimate victory? This is simply too big a question for me to deal with in a short answer. On the whole, I believe that the blockade was worth the effort and expense; that it severely restricted the Confederacy’s ability to wage war; and that it probably shorted the war by a matter of several months. For a longer and more complete answer, I’m afraid you’ll have to look at my books. On a somewhat broader note than the previous questions, how important was the Union Navy’s contribution to the overall war effort? The Civil War was primarily a land war, and I believe that the Union would have won that war even without overwhelming naval superiority so long as the public continued to support the Lincoln administration’s war policy. But it would almost certainly have been a longer and even bloodier war. Without Union superiority on the western rivers, the campaigns for Forts Henry and Donelson, for Island Number 10, for Vicksburg, and of course for New Orleans would have been entirely different. If the Union Navy shortened the war by, say, six months, then it may have saved a hundred thousand lives. Compared to other presidents, how would you rate Lincoln as a naval commander-in-chief? Few presidents had the opportunity to manage naval forces in a modern war of this scale. Only Franklin Roosevelt comes close, and FDR (like his distant cousin Teddy) was a man who had studied the navy since childhood. Roosevelt was far more knowledgeable about naval matters than Lincoln, but the two men had very similar instincts: a disarming congeniality, a flexible, non-ideological outlook, a pragmatic world view, and keen political skills. I rank them both at the very top of all American presidents, not just in war management, but in presidential excellence. Finally, what leadership lessons can modern Americans learn from Lincoln? I’ll name three: patience; a willingness to listen, as well as talk; and a sense of humor. Sadly, all three are sorely in need in our nation today. Tera Hunter spotlights a plea from a black soldier’s mother, one of countless personal petitions Lincoln received during the Civil War. David T.Z. Mindich discussed Edwin Stanton’s control over the flow of wartime information and its implications for modern debates about surveillance in a recent editorial for The New York Times. Recent years have seen a number of solid historical books on the scope of war’s destructiveness and the forces that either escalate it or rein it in. Mark Grimsley’s Hard Hand of War was one of the seminal works in this scholarly conversation; other contributors have included Mark Neely and Wayne Lee. John Fabian Witt is the latest historian to examine Americans’ attempts to regulate and legitimize warfare in Lincoln’s Code: The Laws of War in American History. His portrayal of the history of rules to govern nations and individuals at war leaves the reader with the distinct impression that such rules have exacerbated warfare’s violence as often as they have reined it in. The regulation of war has been an important force in American history from its very beginnings. The American Revolutionaries prided themselves on adherence to the mores of restrained, civilized war that were fashionable during the Enlightenment, and with independence won, the country’s leaders expended considerable effort upholding the right of neutral shipping as a component of the law of nations. War raised legal questions involving the behavior of individual soldiers and civilians as well as countries. When American troops campaigning in Mexico found themselves subject to attack by guerrillas, and as U.S. reprisals against Mexicans threatened to escalate this conflict to frightening levels, the novel situation of dealing with military transgressions overseas led American commanders to develop important innovations, particularly the use of military commissions to try enemy personnel. But it was the Civil War which proved to be especially fertile ground for the growth of military law. In Witt’s portrayal, Lincoln and his advisers emerge as consummate pragmatists, shifting from one set of standards for conducting war to the other depending on the Union’s particular needs at any given time. This flexibility led to some thorny contradictions; subjecting the Confederacy to a blockade was a convenient means of employing commonly recognized principles of the law of nations, but also made it difficult to prosecute blockade runners as illegitimate pirates. A thorough and systematic presentation of the rules governing Union armies emerged out of the messy nature of this war that was both a contest between parties claiming the status of sovereign nations and a rebellion by one section against the rest of the country. The man responsible for crafting it was Francis Leiber, a Prussian immigrant to the U.S. and military philosopher whose notions of the boundaries of proper behavior in war differed markedly from those of most eighteenth-century thinkers. Whereas Enlightenment thinkers believed that an army gained its legitimacy from its conduct rather than the cause for which it fought, Leieber argued that proper ends could legitimate extreme means. Lieber was also a proponent of the idea that sharp wars were ultimately more humane because their severity convinced a foe to yield quickly and thus saved lives, a stance shared by some of the Union’s most prominent leaders (including hard war practitioner William T. Sherman). When the Confederacy began incorporating partisan guerrillas into its regular forces, the Union government tapped Lieber to create guidelines for determining the status of prisoners. In Dec. 1862, Union authorities turned to him again, this time to craft a more comprehensive code of regulations to govern the behavior of armies in the field. The result became General Order No. 100, which turned Lieber’s notions of aggressive, pragmatic warfare into official Union policy. This aggressive turn to the Union war effort developed alongside Lincoln’s policy of emancipation. War had been a corrosive agent against slavery since the time of the Revolution and the War of 1812, but to Americans of the time, the loss of their slaves ran counter to contemporary notions of the sanctity of civilian property in war. But the exigencies of the Civil War allowed Lincoln to take the extraordinary measure of freeing slaves in rebellious territory. This extreme act, which prompted howls of outrage from earlier Americans who saw their slaves abscond with British armies, became justifiable within the framework of an aggressive war effort because it served a laudable end. Emancipation thus conformed to Lieber’s concept of aggressive war measures legitimized by the goal in sight. The same notion of aggressive war was practiced by Judge Advocate General Joseph Holt, who upheld Lincoln’s use of war powers and the use of military commissions to try those accused of transgressing the laws of war. Most of these commissions tried guerrillas and non-combatants instead of Union soldiers, and for a wide variety of offenses. The pragmatic philosophy of aggressive war out of military necessity also lay behind Sherman’s destructive march to the Georgia coast and then into South Carolina. Lieber’s Code outlasted the war it was created to regulate. The expansion of the scope of military authority shaped post-war policies regarding the treatment of Lincoln’s assassins, prominent ex-Confederates, and the former Confederate states as a whole. The U.S. also found an aggressive military code useful in dealing with Indians. Whereas earlier American armies used the notion of Indians as outside the customs of civilized war to justify harsh measures against them, after the Civil War the use of military commissions legitimized the use of the death penalty against these enemies whose exact status was open to question. Thus the code gave official backing to the killing of captured foes, an act that earlier armies had handled in an extralegal manner. Similarly, American troops in the Philippines invoked the standards contained in Lieber’s code to justify an aggressive imperial war in that island nation, even as some of them transgressed that code with the use of torture, which Lieber himself had refused to include in his range of permissible behaviors. And it was not only Americans who found in the laws of war a pretext for harshness, as European statesmen used the Lieber Code as the basis for a new body of international military laws. Leaders of the strong, modern nations of the late nineteenth and early twentieth centuries balked at the notion of circumscribing their armies with strict standards of behavior, but were open to Lieber’s more aggressive approach. Witt thus puts the evolution of war-making during the Civil War within a broad historical context, both backward into the Enlightenment and forward into the modern era. 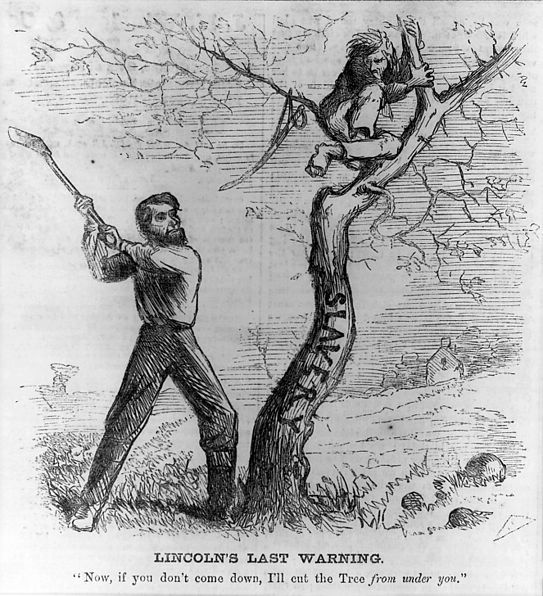 Lincoln’s Code demonstrates how the use of emancipation, military courts, the Anaconda Plan, and Sherman’s “hard war” developed out of questions that arose early in American history, and how consequential the Civil War proved to be on several different political, legal, and moral fronts. Some of the most prominent recent scholarship on the destructive nature of the Civil War has emphasized that destruction’s limits rather than its scale; the “hard war” was an escalation, but it was neither wanton nor unrestrained. Witt’s emphasis is more on what the aggressive code of war allowed than on what it prohibited. Time and again, he explains how politicians and commanders found that laws of war actually magnified their power and the power of the armies under their authority. Laws and regulations were ambiguous in their effects; they drew lines which armies are not allowed to cross, but the very act of drawing lines legitimized behaviors on the other side of them. The law of war, as Witt presents it, has therefore served to give official sanction to the escalation of violence as well as condemn it. In this age when American leaders are once again grappling with issues relating to soldiers, enemy combatants, and civilian populations, scholarly attention to the problem of regulating a government’s power to wage war is especially timely. Lincoln’s Code is a comprehensive, readable, and incisive examination of this problem’s historical dimensions. One hundred and fifty years ago today, Lincoln issued the preliminary Emancipation Proclamation, turning a war for the Union into a revolution against slavery. 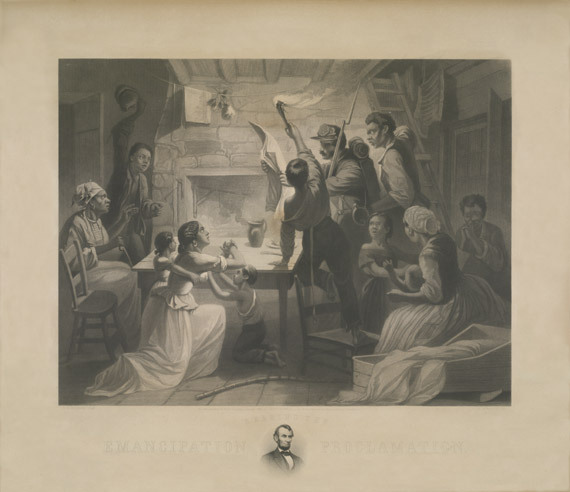 For more information about the preliminary proclamation, see the online exhibit from the National Archives, the essay by Harold Holzer and scans of the manuscript at the New York State Library, the materials relating to the proclamation at the Library of Congress, and the Gilder Lehrman Institute of American History’s section on slavery and emancipation.